. Works covered by copyright range from books, music, paintings, sculpture and films, to computer programs, databases, advertisements, maps and technical drawings. Learn more about copyright from this video created by the Copyright Clearance Center. Click on the picture to begin watching. 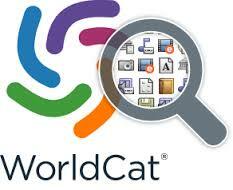 For complete instructions on using WorldCat check out our WorldCat research guide. The books below are examples of some of the books you might like to use at the MJC Library. 1. Is the material in the public domain? If so, you are free to use it without seeking permission. 2. Does my proposed use fall under exemptions to the copyright law? a guide to help you weigh the factors of fair use against your intended use. 3. Do I need to seek permission to use the material? Yes - If none of the above apply. View this brief video from the Copyright Clearance Center to learn more about U.S. copyright law and its impact and use on college campuses. There are a lot of different issues involved in figuring out if U.S. copyright law requires you to seek permission (and often, pay a fee) to use others' materials in your teaching. There are many tools available to help you determine if your intended use of others' materials is allowed under U.S. copyright law.